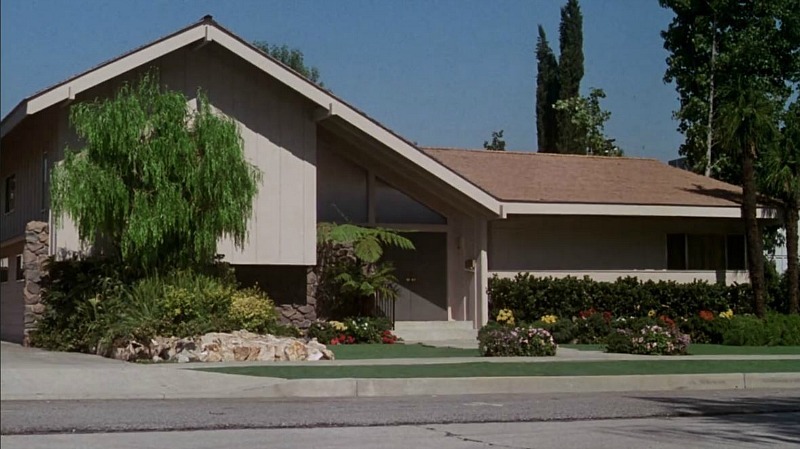 If you grew up watching “The Brady Bunch” reruns like I did, then this house is probably as familiar as your own. 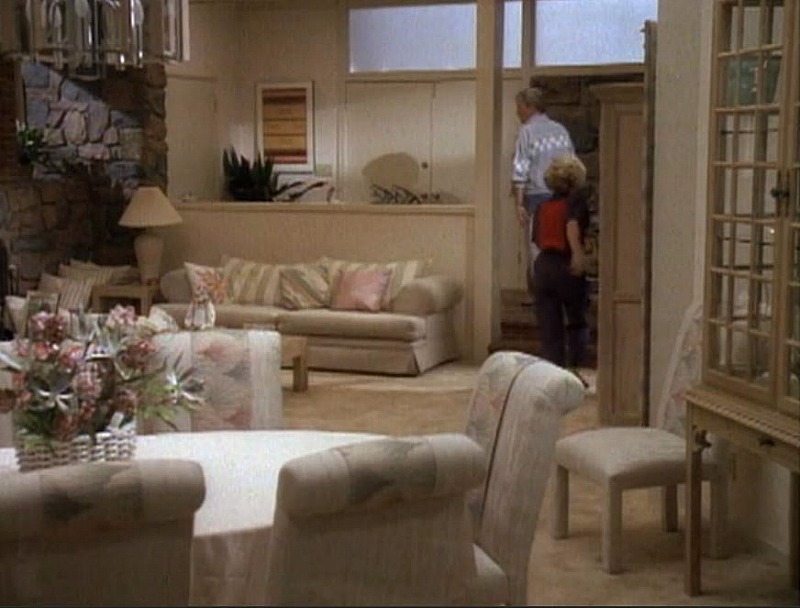 Who could forget those double entry doors that led to the sunken living room? 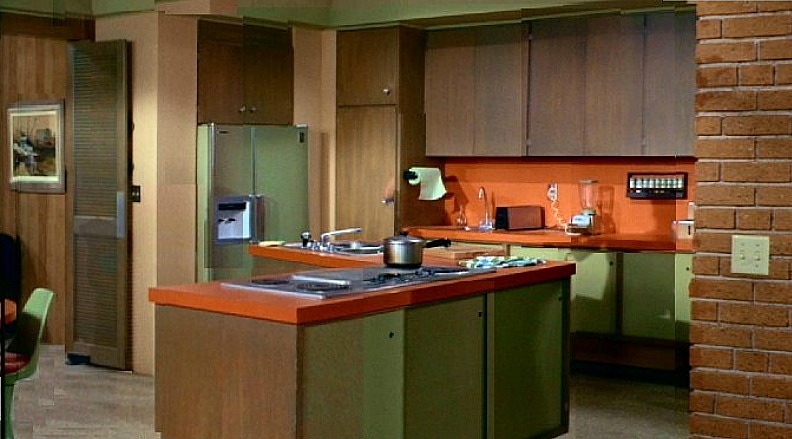 The mod orange kitchen with the brick wall? The Jack and Jill bathroom? 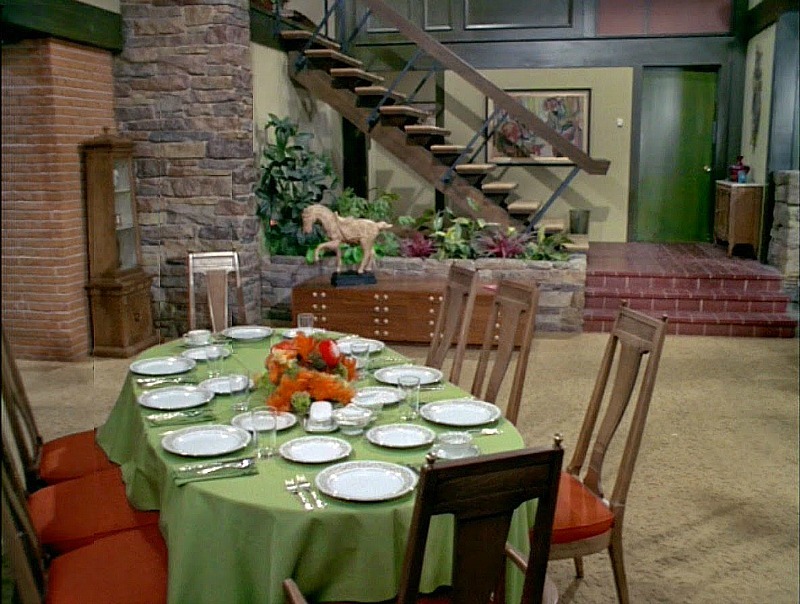 The sliding patio doors that opened to the AstroTurf backyard? 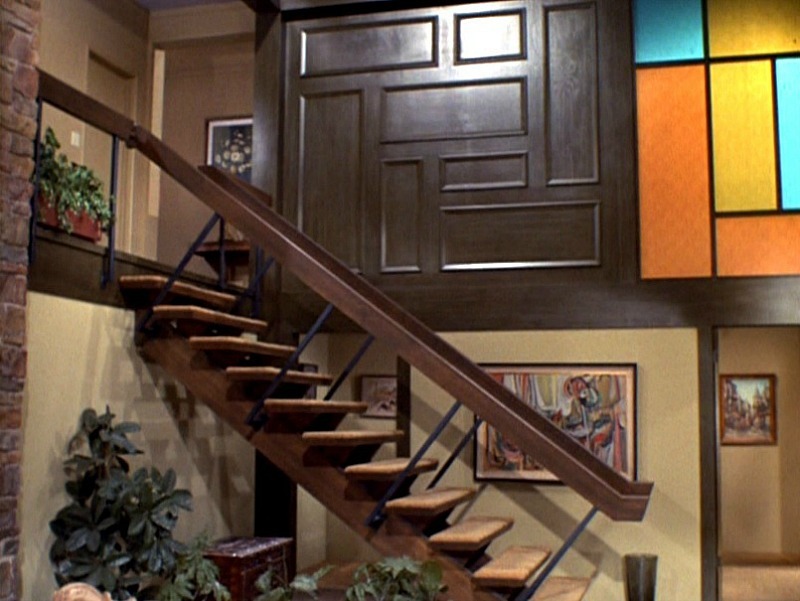 And the dramatic open staircase in the center of it all? 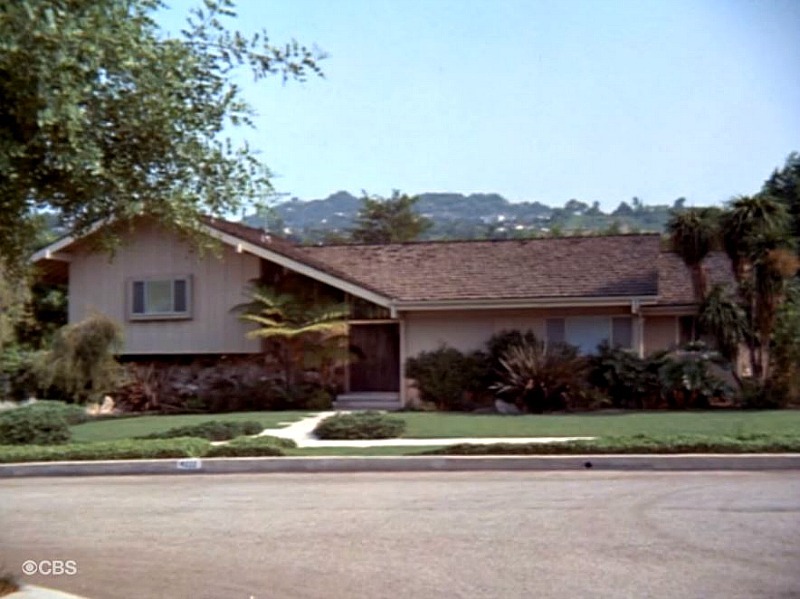 The house where the exterior shots were taken for the sitcom back in the late 1960s went on the market in July, so I thought this was the perfect time to revisit an American classic. 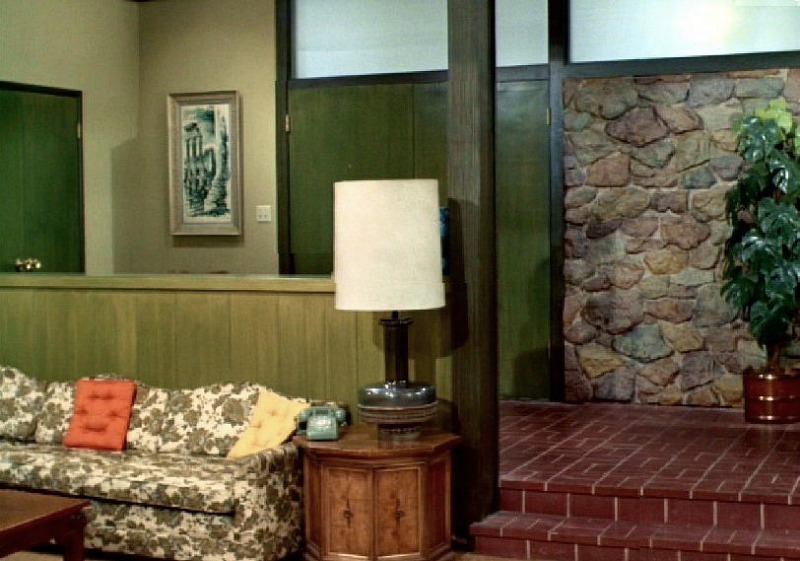 Read on to see how the Brady Bunch house looked on TV in the 1960s and ’70s, the total makeover the sets were given for a TV movie in the 1980s, and the real house today! Note: This post contains affiliate links that may earn me a commission without affecting the price. 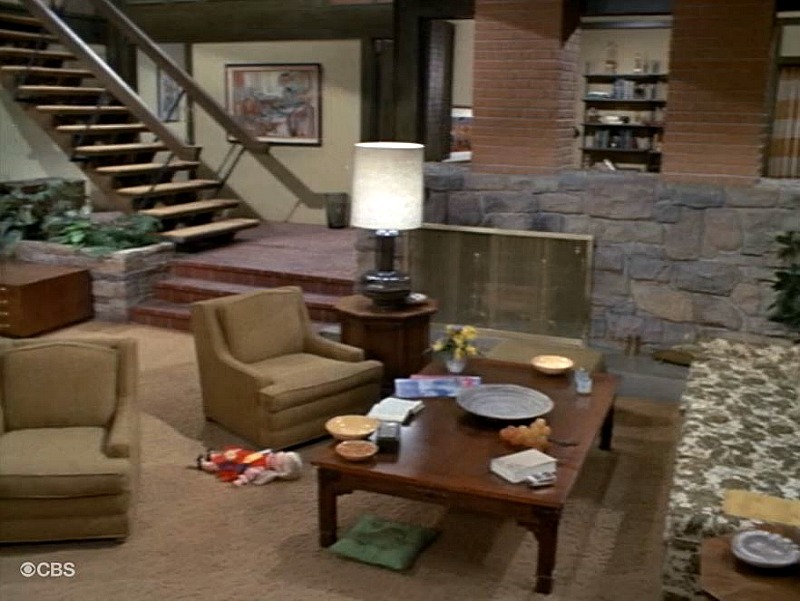 Series creator Sherwood Schwartz chose this house because he thought it looked like one an architect would design. 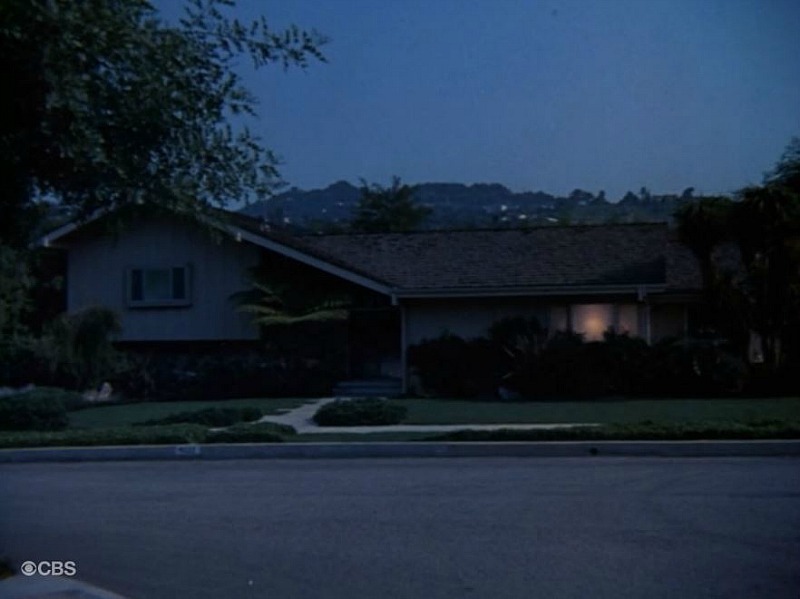 The address they used for the show was 4222 Clinton Way, but they never specified the city. 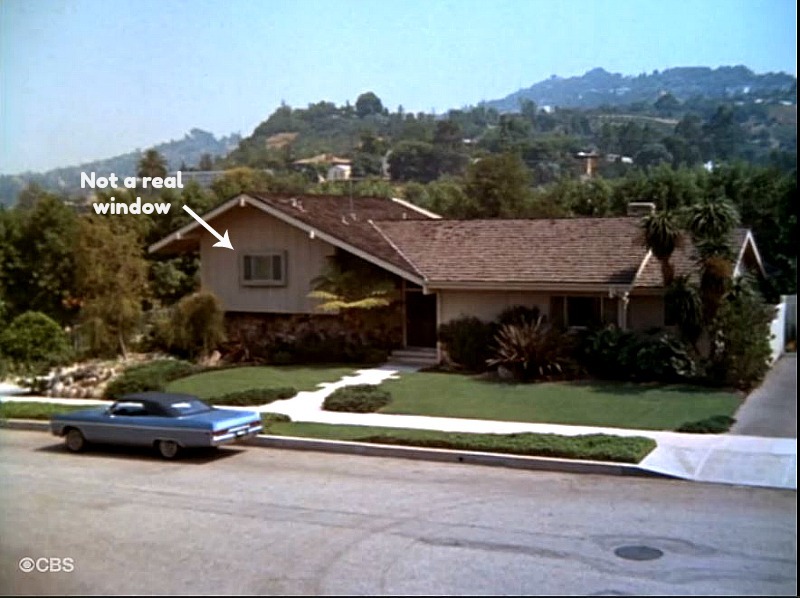 The real house where the exterior shots were taken at 11222 Dilling Street in North Hollywood, California (Studio City). They say this is the most-photographed private home in the country (I would have guessed this one was). 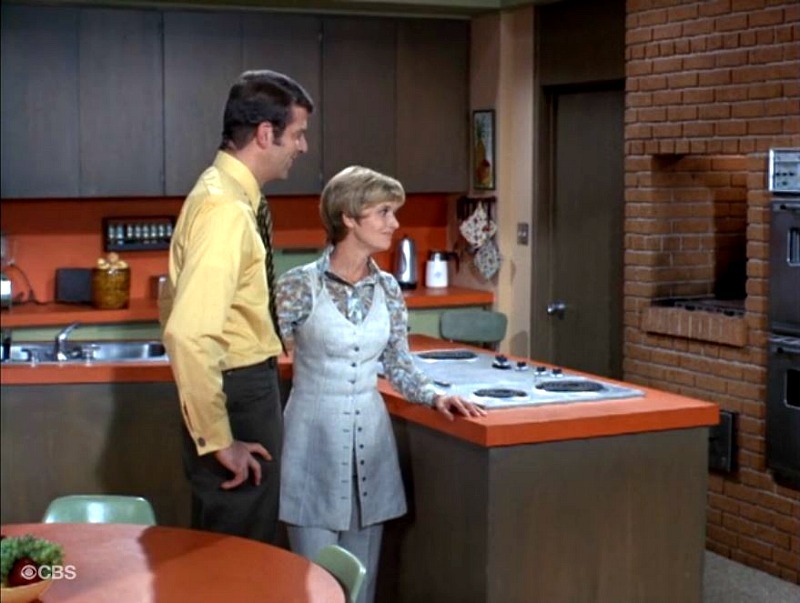 According to the listing, the house was built in 1959 and has 2,477 square feet. 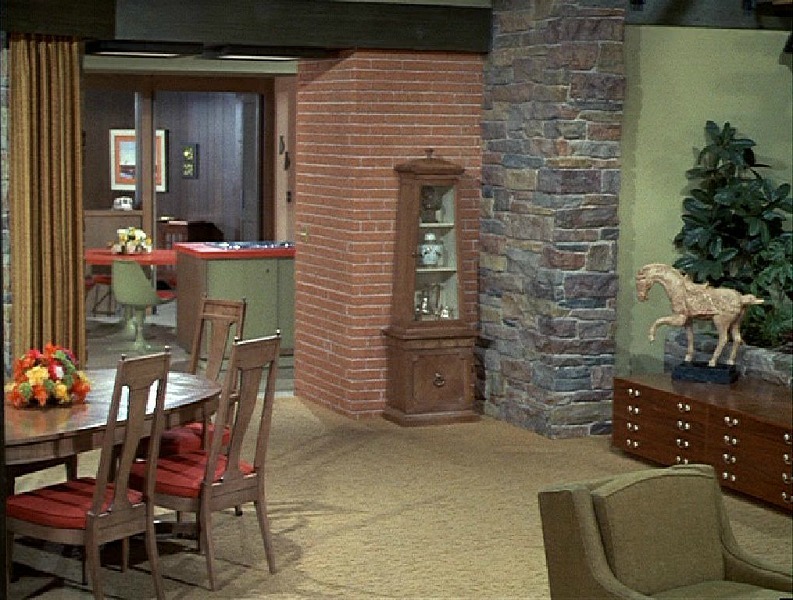 The exterior looks a little different than we remember it because of the windows. 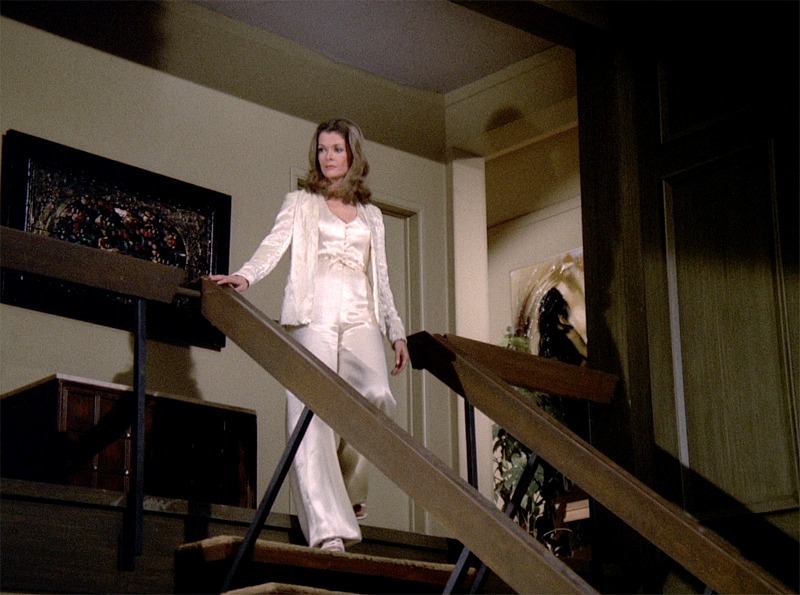 You can see the staircase off to the side of the entry door in the photo above. 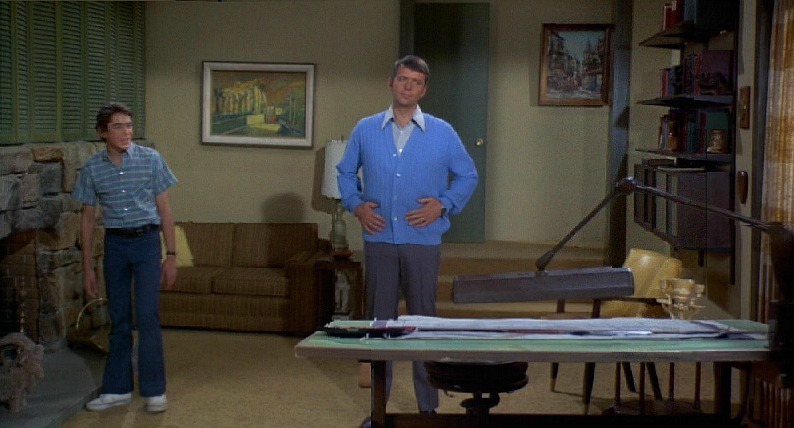 Robert Reed had a recurring role on “Mannix” and sometimes filmed scenes in the Brady house for it. 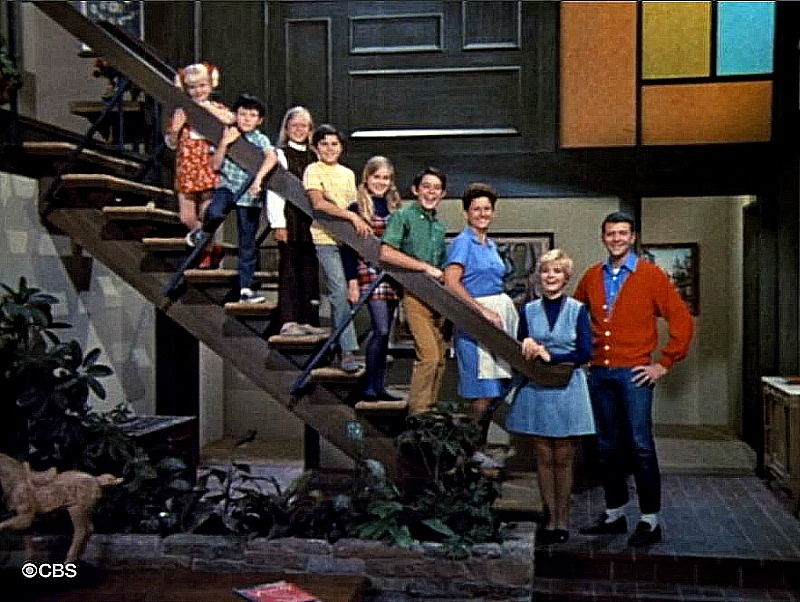 The show’s theme song was sung by professional singers in the first season. 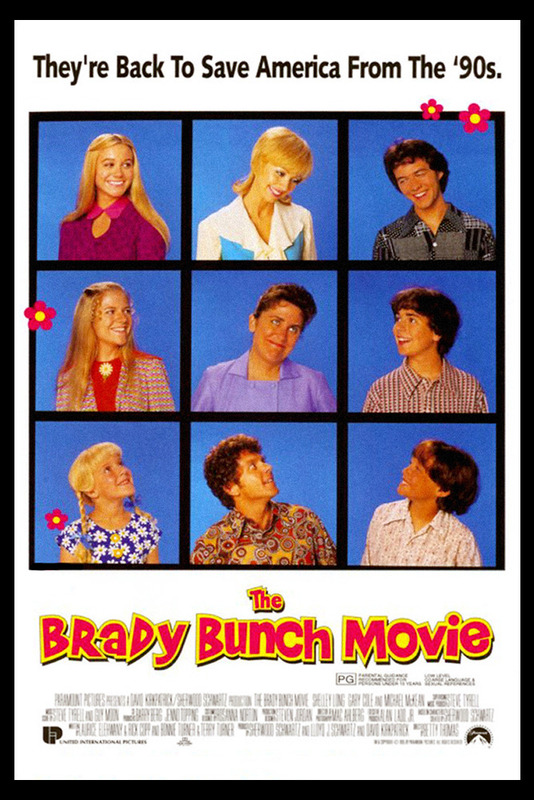 The “Brady kids” began performing it in Season Two, and the lyrics were changed accordingly. 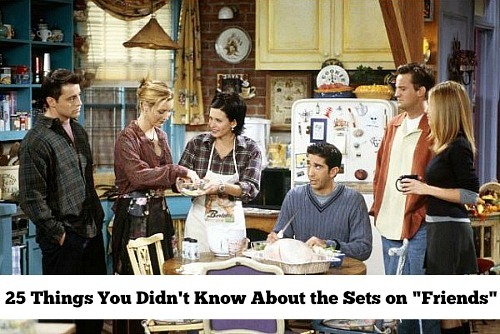 It was re-arranged and re-recorded by the cast each year. 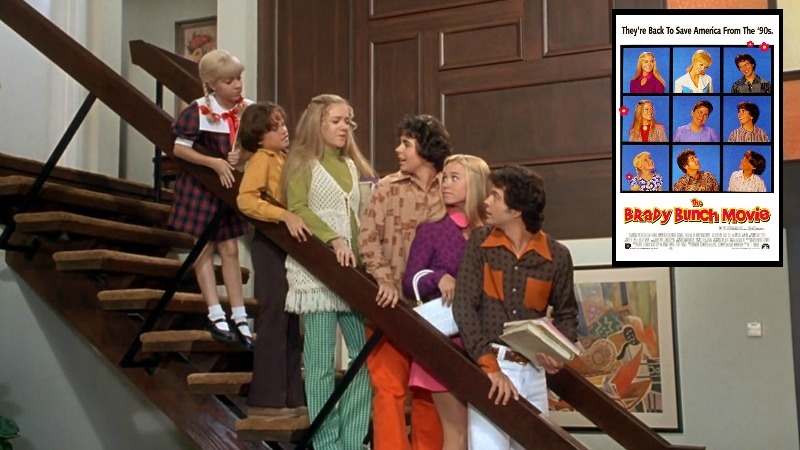 “The Brady Bunch” never cracked the Top 30 in the ratings during its 5-year run. 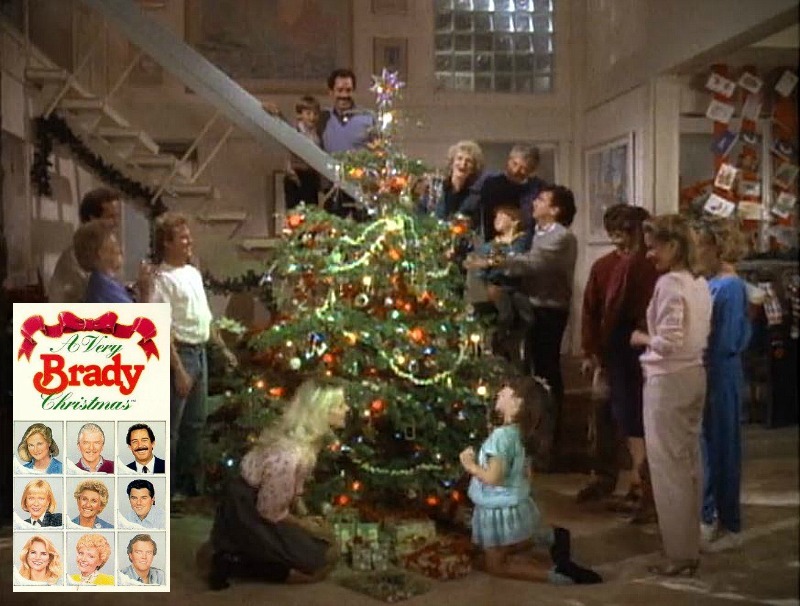 Sherwood Schwartz believed the show has had staying power because they wrote the episodes from the viewpoints of the children. 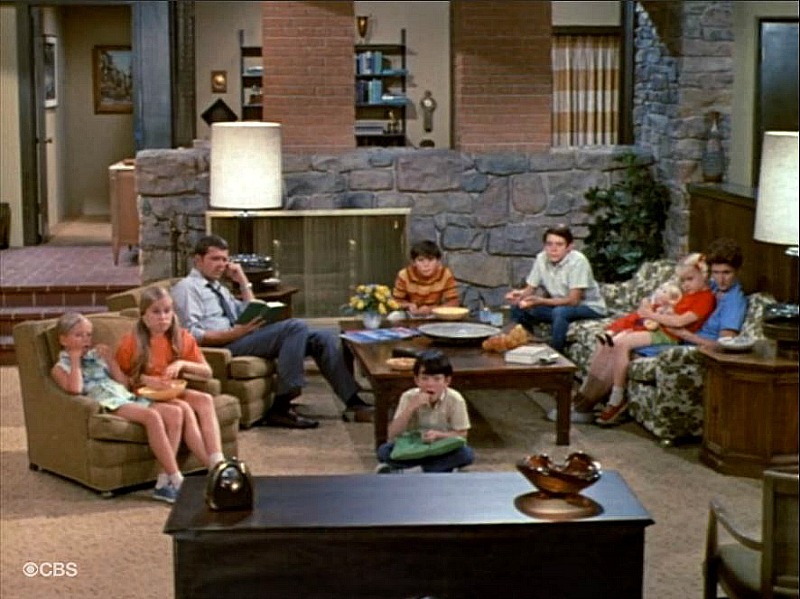 They focused on stories young viewers would relate to, and they showed that a blended family could be a happy and harmonious one. 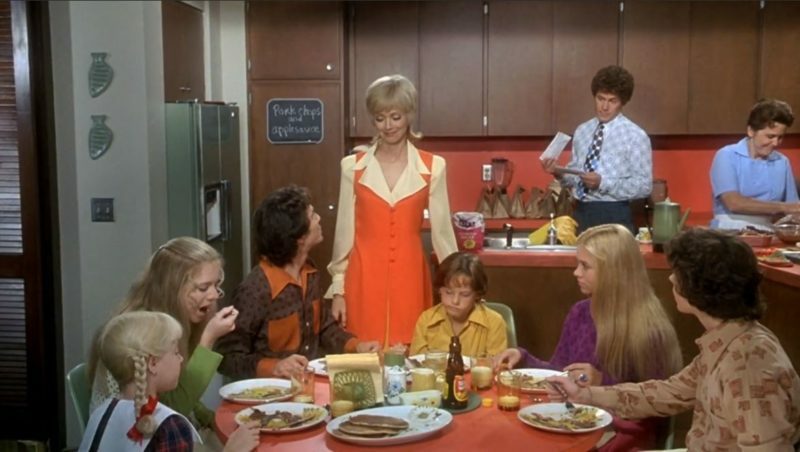 He said he got a lot of letters from kids over the years asking if they could live with the Bradys. 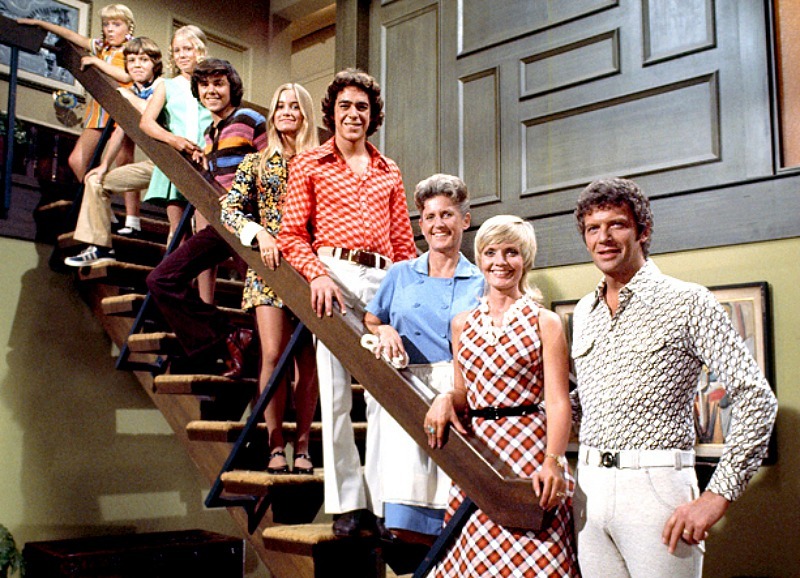 Robert Reed became one of TV’s most beloved dads, but he hated the role. 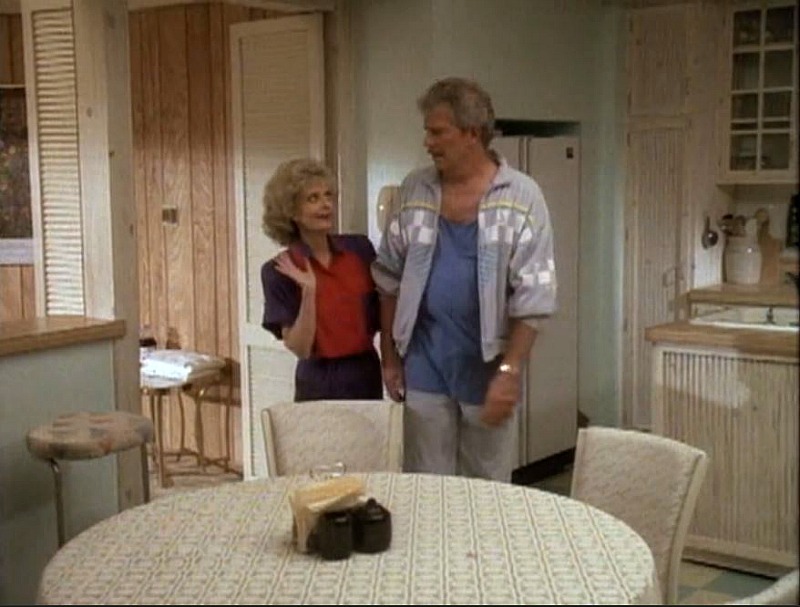 He fought with the producers so bitterly and so often that he was actually cut out of the final episode of the series. 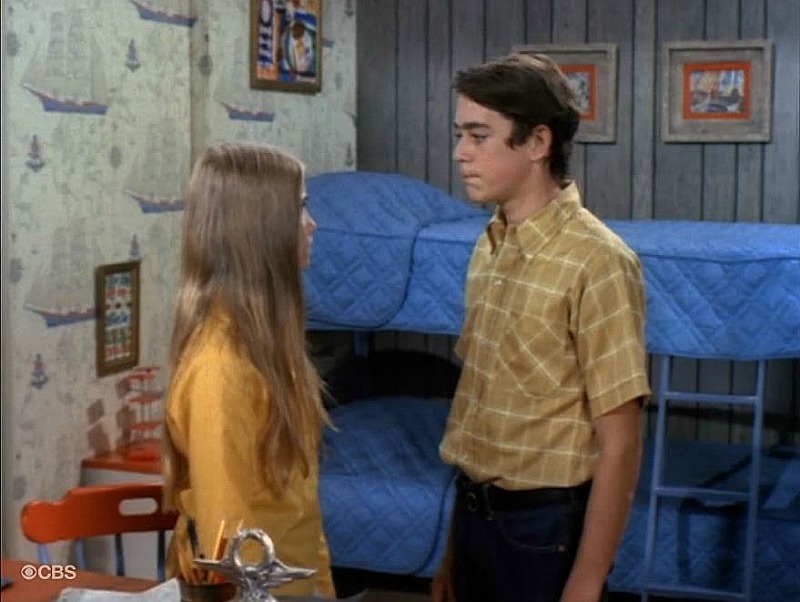 In the finale, Greg graduates from high school, but Mike is “out of town.” If it had been picked up for a sixth season, he would have been replaced. 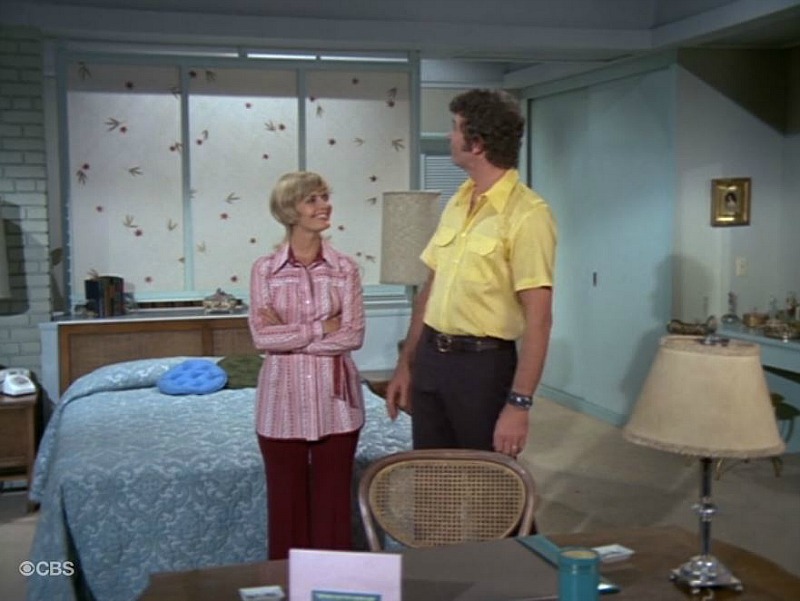 Mike Brady was an architect who designed the house for his family. 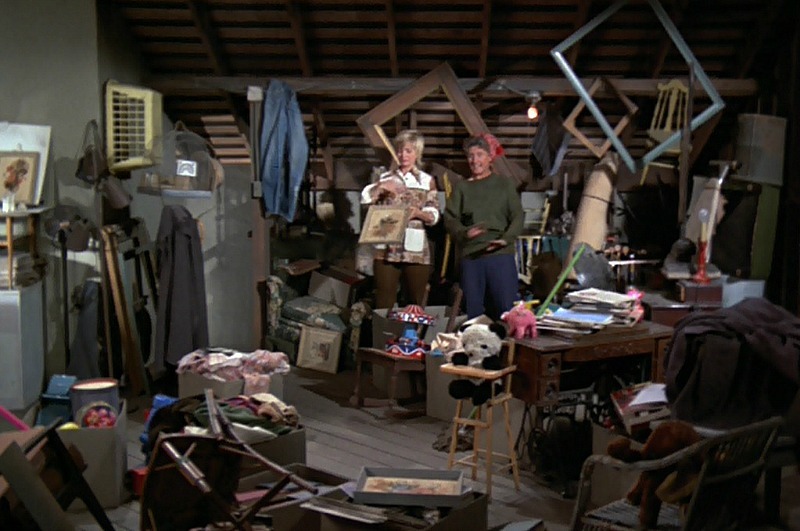 Greg wanted to move to the attic in Season 2, but Mike said the ceilings were only 3′ high. 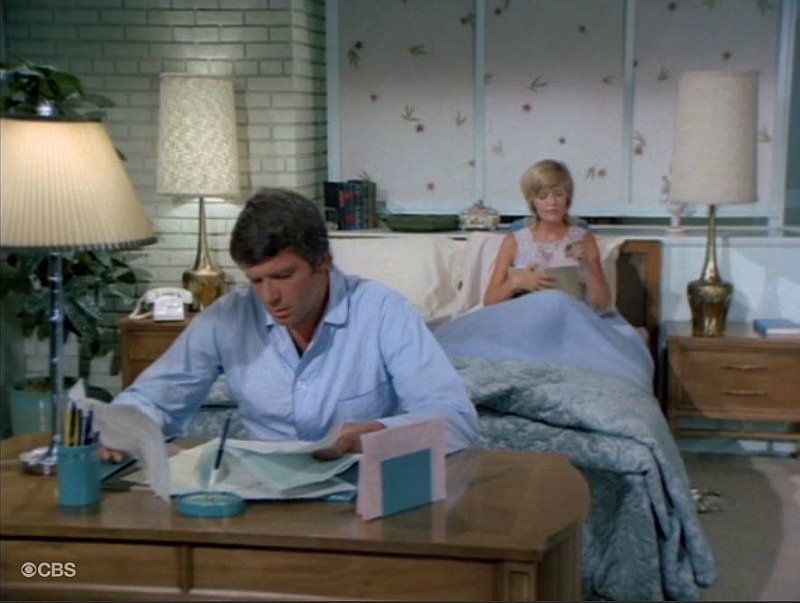 You can watch “The Brady Bunch” on Hulu, which is how I got most of these screenshots. 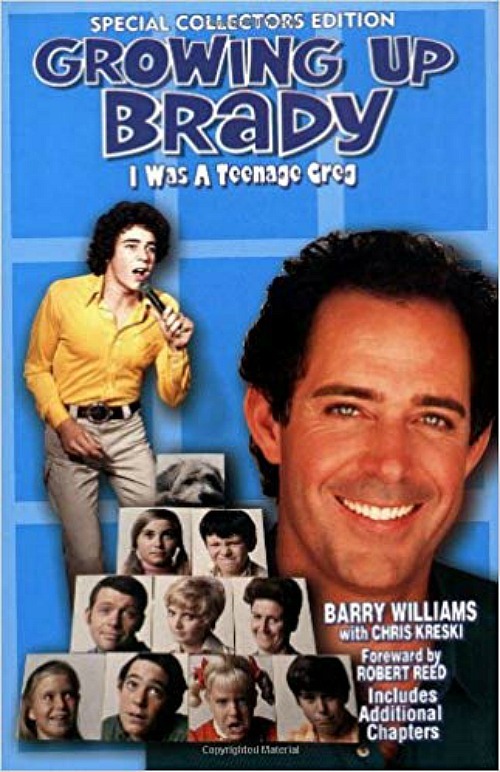 Unfortunately, they were unable to secure the rights to some of the episodes, including “Our Son, the Man,” in which Greg moved into the attic. 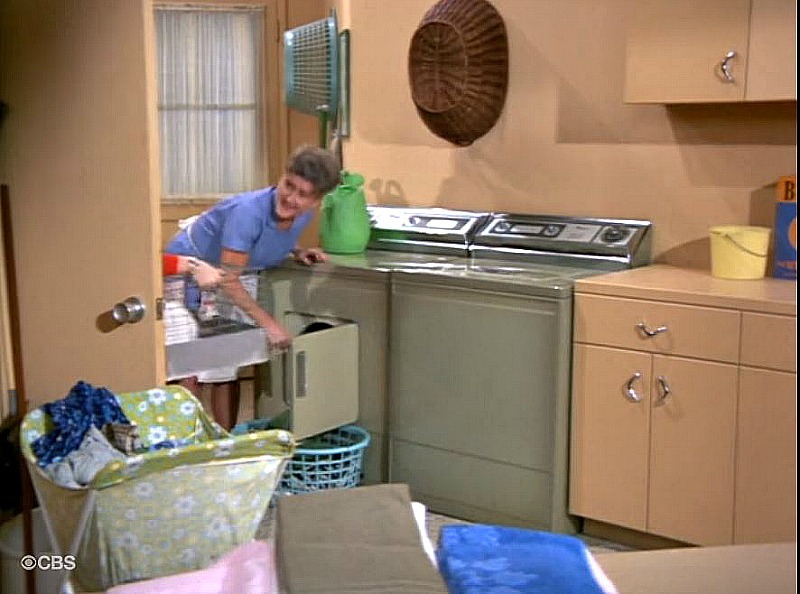 She apparently didn’t have a bathroom of her own. Does that mean she was sharing with the kids upstairs? 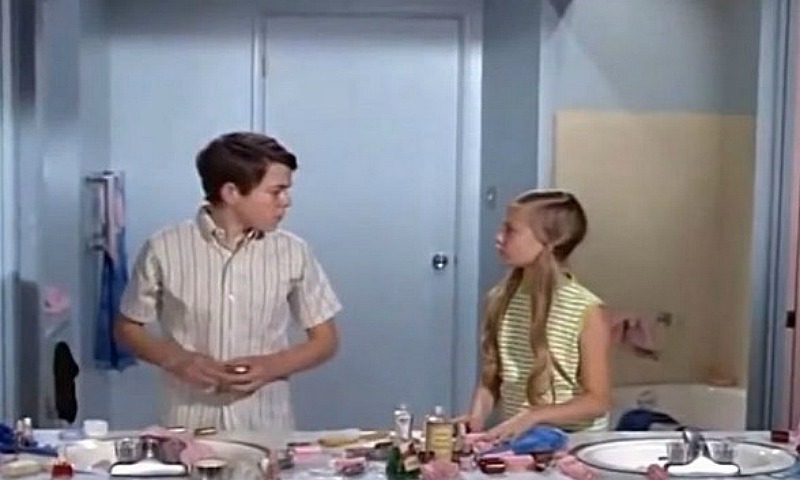 They weren’t allowed to show toilets on TV at that time, so you’ll never see one in the kids’ Jack and Jill bathroom. 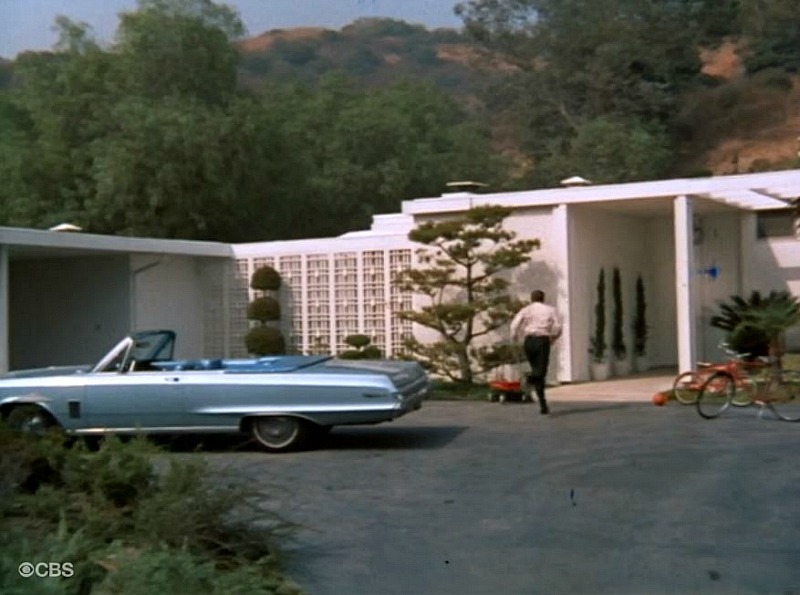 This iconic residence is reportedly the 2nd most photographed home in the United States after the White House. 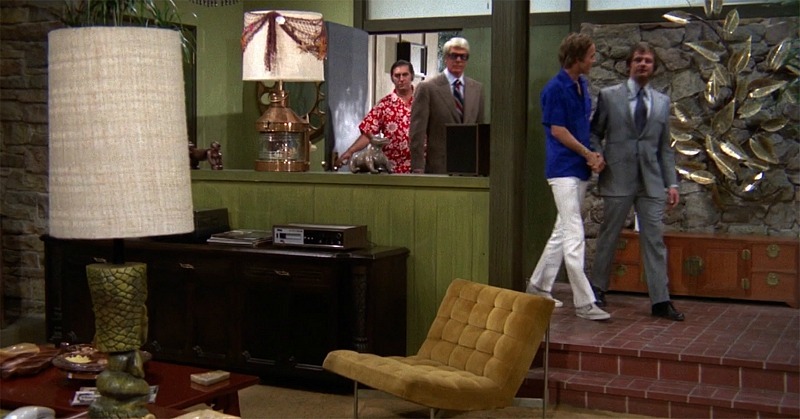 Featuring perfectly preserved 1970s decor, it boasts one of the largest lots in the neighborhood — over 12,500 sqft. Enormous, lush backyard gardens & lawn, completely private & serene. Located on a quiet residential block, property also borders the Los Angeles River, which is a unique street-to-river orientation. Two Master Suites, one up/one down plus generous entertaining spaces that flow uniformly from one to the next and to the outdoors. Gated motor court plus large separate garage provide parking convenience. 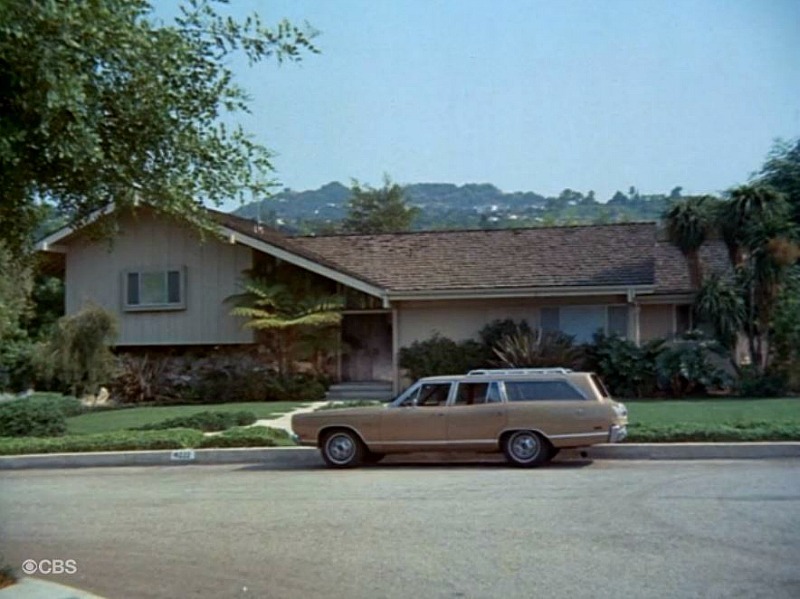 Whether inspired by the TV family or the real life surrounding neighborhood, this residence is a perfect postcard of American ’70s style and its special culture. But now it seems the deal is off, and Bass says he’s “heartbroken.” You can read about it here. 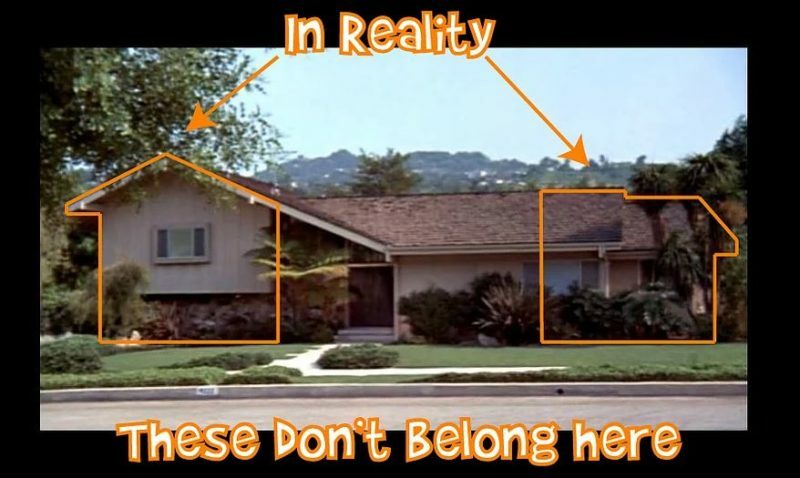 I think we’ve all got our fingers crossed that the house won’t be demolished, as some have suggested it may be. David Zaslav, the CEO of HGTV parent company Discovery, announced on Tuesday’s second-quarter earnings call that the network had purchased the house that was recently on the market. He was light on details on the upcoming renovation series, which fits right in with all of HGTV’s current programming. 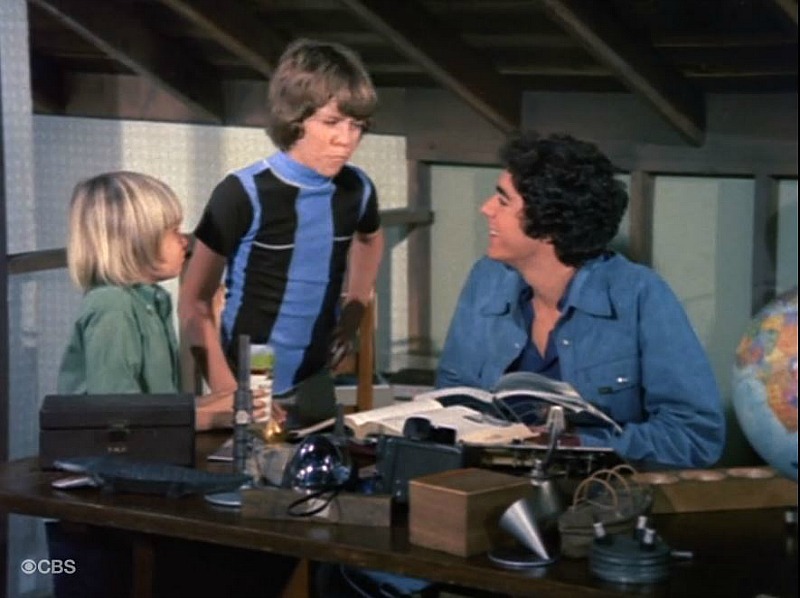 “More detail to come over the next few months but we’ll bring all the resources to bear to tell safe, fun stories about this beloved piece of American TV history,” he said. 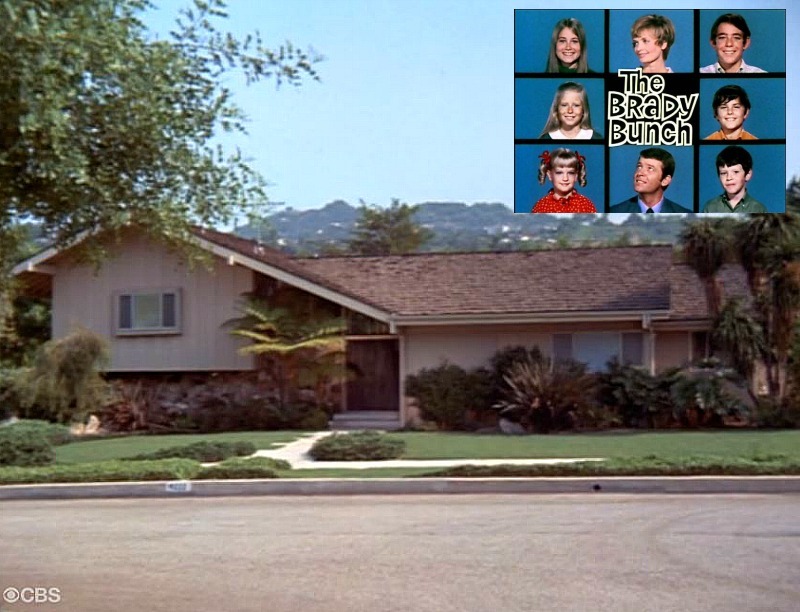 The Brady Bunch house got a totally new look for the 1980s in the TV movie A Very Brady Christmas. 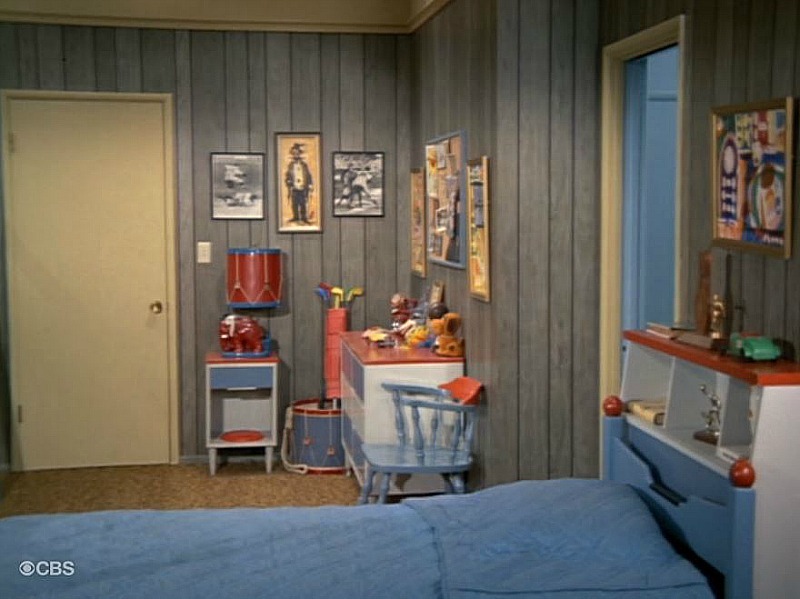 In the movie, the woodwork, walls, and furniture were pale and pastel. 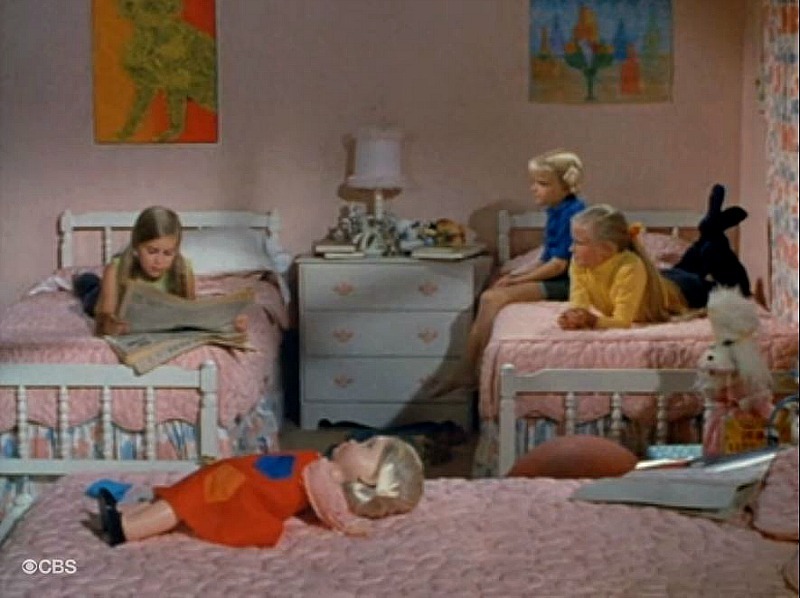 In the movie, which is streaming on Hulu, the kids are grown and gone, and some of them have families of their own. 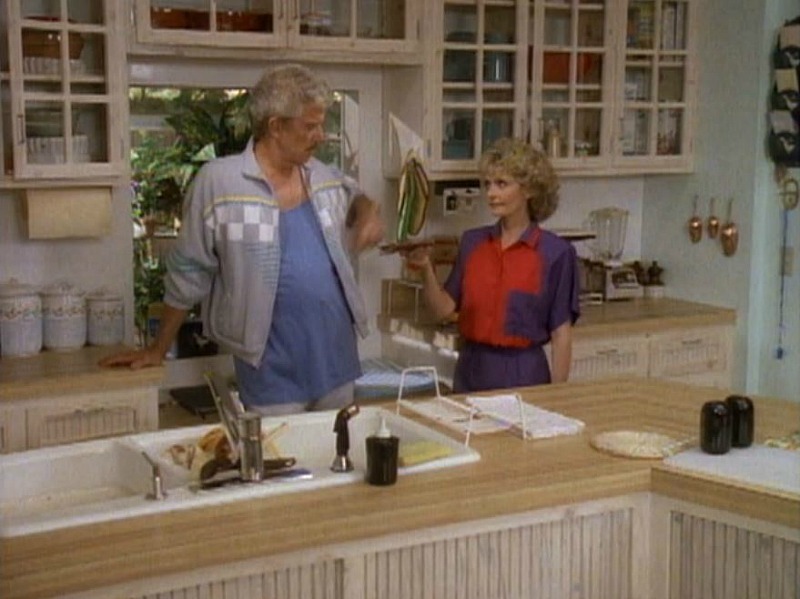 Carol (Florence Henderson) is working as a real estate agent. 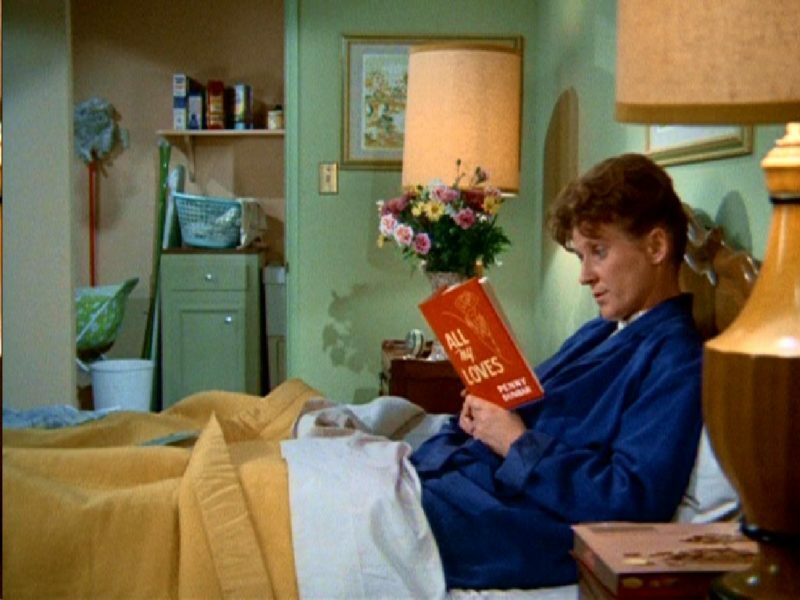 And Alice (Ann B. Davis) returns to the Brady household after Sam leaves her for a younger woman, a story line that’s oddly played for laughs. 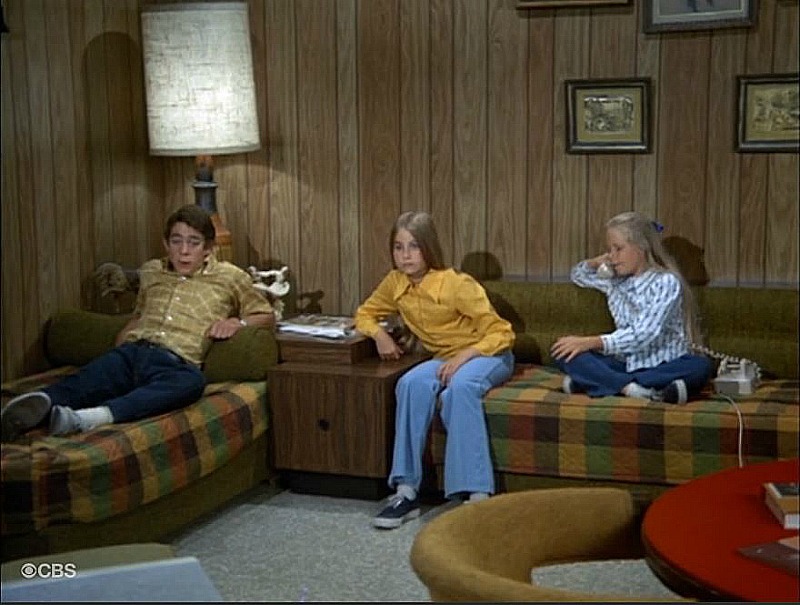 The ratings were so good that a short-lived drama called “The Bradys” followed in 1990. 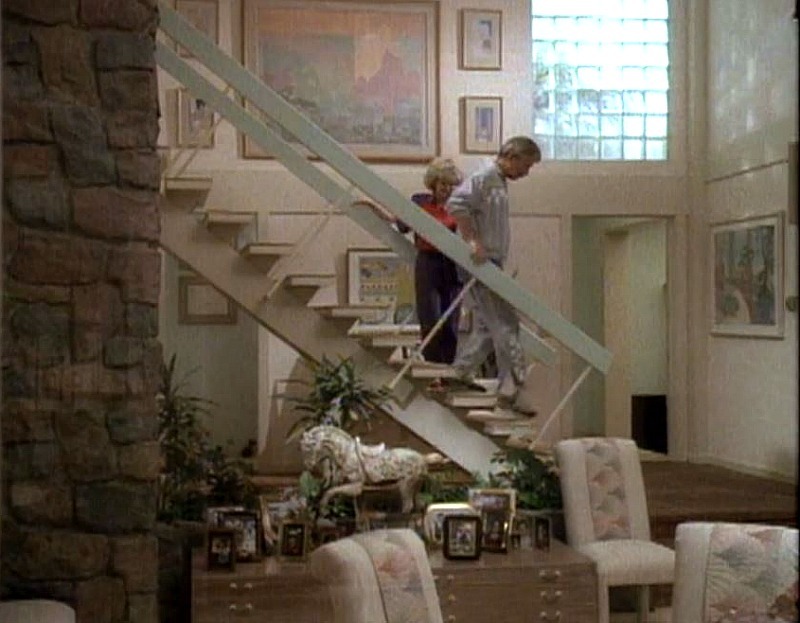 She figured out the floorplan and what the exterior really would have looked like, and it’s pretty wild. 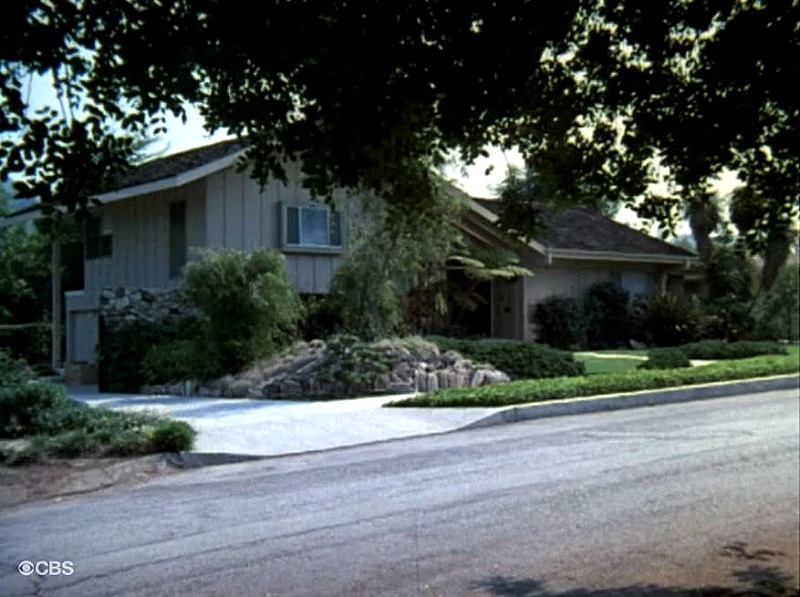 Once “The Brady Bunch” was picked up for an entire season, the establishing shots of the new house were taken. 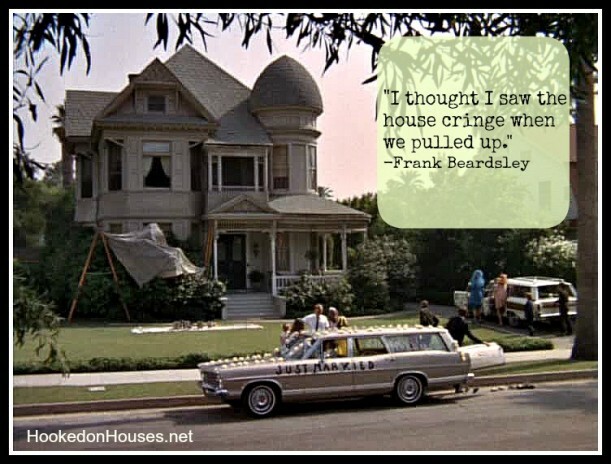 Have you ever noticed the similarities to the movie Yours, Mine and Ours? 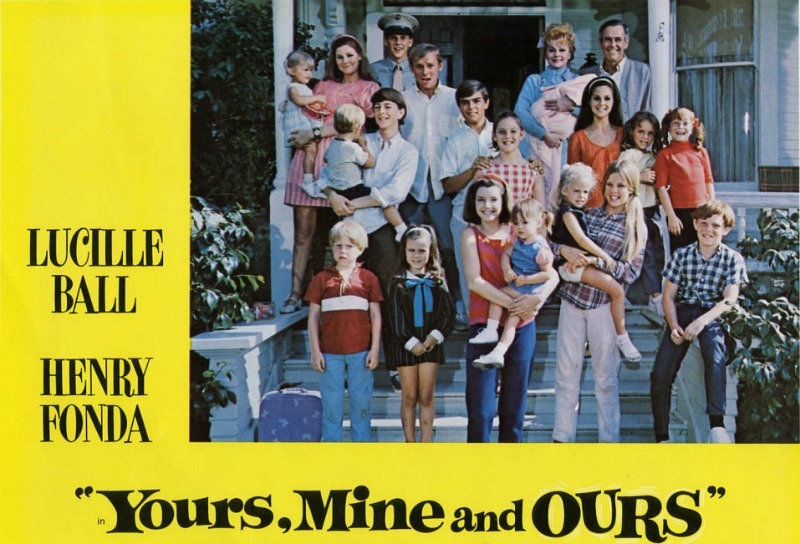 It came out in 1968 and featured Lucille Ball and Henry Fonda as widowers who marry and join their large families. 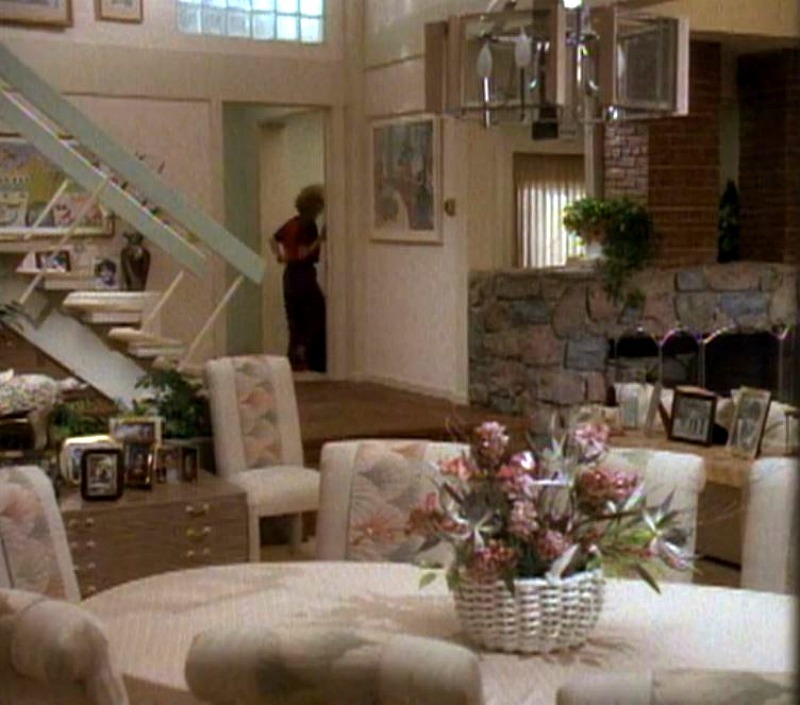 I wrote about the Victorian house from the movie if you want to see how it looks today! 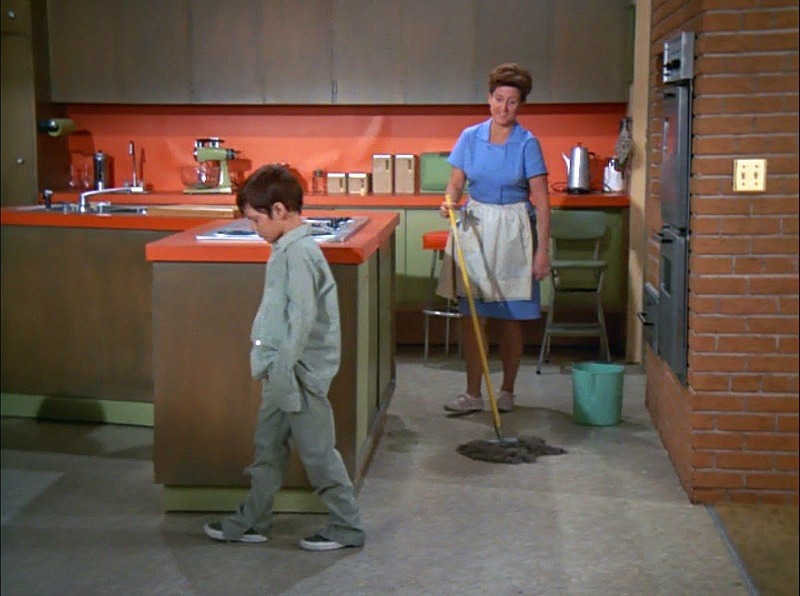 The producers of Yours, Mine and Ours threatened to sue Sherwood Schwartz for stealing their concept, but he’d been trying to sell the idea for the show for years and had the notes to prove it.